NBC10 Boston Sky Ranger over the scene of a brush fire at the Quincy/Braintree Massauchusetts line. Firefighters are responding to a brush fire on the Braintree/Quincy line on Friday afternoon. 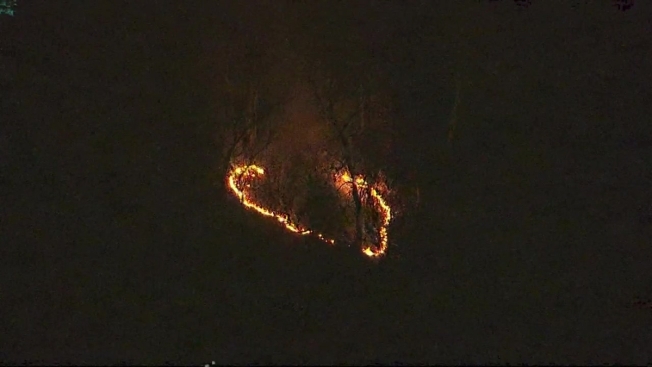 The fire was reported just before 5 p.m.
Aerial footage from NBC10 Boston's Sky Ranger helicopter shows several areas burning.